The latest TPB of Saga, the fantastic and much loved comic series, has arrived at Merlyn's! Saga volume 6 compiles issues 31 - 36 and continues the story of two lovers from two warring alien races fleeing the wrath of both their governments and struggling to raise their young daughter. The epic science fantasy story draws much of it's inspiration from Star Wars and has garnered a significant and dedicated fan base since it's first issue released in 2012. 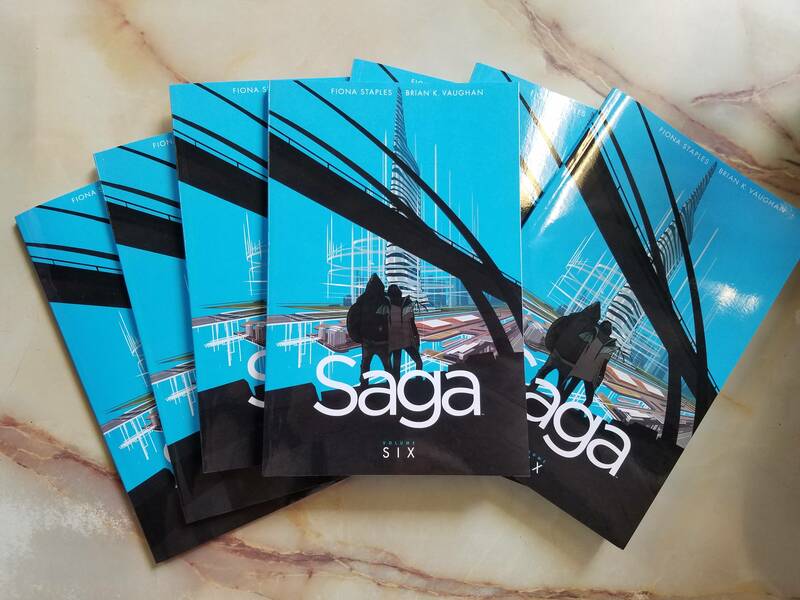 This is an excellent series and one that's well worth your time, so stop by the store and check out all six volumes of Saga!